The birth of Timex Group was no case of happenstance; the inspiration and the aspirations were all seeped in as early as the 1920. Manufacturing: Timex Mica,Timex Bond,Timex Veneer,Timex Ceramic,Timex Doors,Timex Plywood. Address: 401/402, Pratik Avenue, Opp. Shiv Sagar Restaurant, Nehru Road, Vile Parle (E), Mumbai - 400 057. 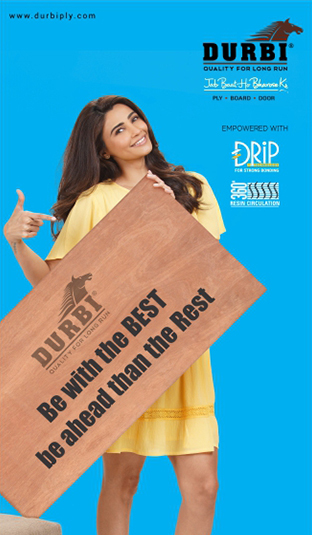 Anchor Marine Plywood primarily to cater to the rigorous requirements of the Indian Navy. Since then it has remained India's No. 1 Marine Plywood . Manufacturing: Marine Plywood ,Plywood and Boards,Doors. Address: Embassy Centre, 704, 7th Floor, Nariman Point, Mumbai - 400021, Maharashtra, India. H.K.Dekorp & Associates are into wooden business since last 5 decades. We are one of the leading manufacturers for wooden based products like Wooden Doors, Wooden Frames & Wooden Pallets. Address: H. Kantilal & Co., Andheri-Kurla Road, Sakinaka, Andheri (E), Mumbai - 400 072. Established in 2006, Parallax Decor Pvt. Ltd. is quickly growing in national market by expending our business in across national and international area. Manufacturing: Pre-Laminated MDF Board, MDF Boards, Plain Particle Boards, Foil Laminated Boards and many more. Possessing expertise in manufacturing with infrastructure to produce international quality wood based PANEL products .Bolstering a team headed. Manufacturing: Industria Plywood,Interior Plywood,Construction Plywood. BECO is one of the leaders of the Interior Decorative Products Industry because of its wide range of products, suiting all needs & budgets. Established in the year 1988, we, Vaja Industries, are one of the most preeminent semi-manufacturers, importers and suppliers of a wide collection of Wooden Venners. Manufacturing: Plywood, Veneer Plywood, Wood Veneer. We are engaged in various industrial packaging products which confirm to international standards. The company is being run by highly experienced. Manufacturing: Plywood and many more. Inddex Interior Products Private Limited. Inddex Interior Products Private Limited. nddex Interior Products Private Limited - Manufacturer of design sheets, laminated panels & flooring design in Mumbai. Manufacturing: Design Sheets,laminated panels,Flooring Design,Door Wall,plywood. Address:Shop No 7, Ground Floor, Lotus Pride Building, V P Road, Vile Parle West, Near Railway Crossing, Mumbai - 400056, Maharashtra, India. Maple Panels Pvt. Ltd. is an initiative by Shri. Madhukar Agarwal - a Chartered Accountant and Shri. Pradeep Lohia - a B.E. (Mech.). Having garnered thirty years . Address: A/7, Manubharti Building, 2nd Floor, 212 , S.V. Road, Andheri (W), Mumbai - 400 058.